Taking steps to prevent falls for people in senior care is a priority, especially since falling is a leading cause of injuries for people over the age of 65. Broken bones and other injuries are frightful realities, causing some aging adults to lean toward inactivity, which can then start a downward spiral to depression and isolation. What can be done to help yourself or a loved one reduce the risk of falling? Education leads to prevention. Many falls can be avoided since there are commonly known factors that lead to falling. Here is a list to consider. Work on balance. Coordination and balance diminish during the aging process, making it easier to fall. Most communities have strength and balance classes for seniors that are found to be helpful. Keep an eye on vision problems. Vision often becomes impaired as a natural part of aging so people in senior care may need watchful eyes helping to make sure there aren’t any tripping hazards on the floor or steps. Be sure that eyeglass prescriptions are regularly checked and updated. Consult with a low-vision specialist for the best ways to see safely. Medications need to be considered carefully. Monitor medications that might have side effects of dizziness or dehydration, which can both lead to falls. Drug interactions must be checked often by a doctor or pharmacist, as well. Modify the environment as needed. Grab bars, non-slip rugs, and bath mats, good lighting are all parts of a safe environment. Be sure to have two-way switches for both sides of hallways and staircases. Install hand railings on both sides of the steps. Ensure there are nightlights bright enough to help on the path to the bathroom in the middle of the night. Consult a physical therapist. 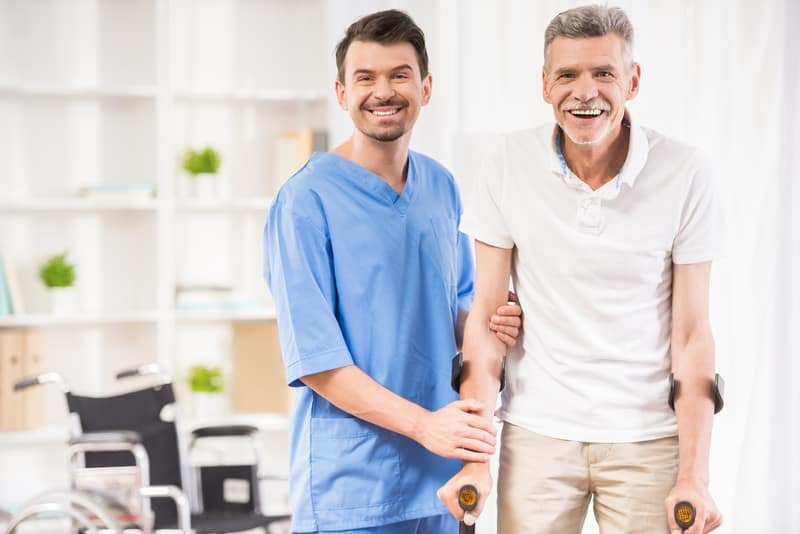 A professional physical therapist who works with people in senior care may prove to be helpful. He or she can assess gait, strength, and flexibility, providing the adult with exercises or specific walking aids that can help. For more ideas on how to make a home safer, contact Concierge Care at 888-205-9940. We can provide information to keep you and your loved ones in senior care safe at home.